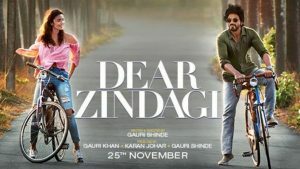 Some friends had highly praised Alia Bhatt‘s performance in this film and despite not being a great fan of Shah Rukh Khan, I accompanied a friend to watch it before it got taken away from the screens. I was impressed by Alia Bhatt’s performance. With every movie, she seems to be maturing into a remarkable actor. The last I saw her was in Udta Punjab where I thought her performance to be easily the best in the film despite other heavy weights in bigger roles. 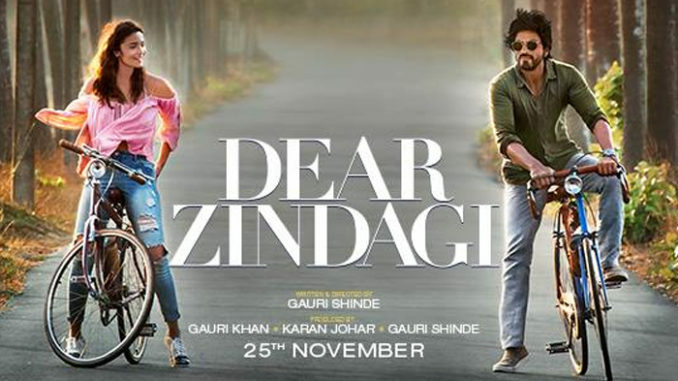 In Dear Zindagi, she plays a completely different role with aplomb and I am glad that I went to see her on the recommendation of my friends. Shah Rukh Khan disappointed me despite playing his real life age for a change. Perhaps someone else like say Anupam Kher would have done better in the role of a counsellor. I guess that the film being a family production, and the subject being rather understated in our society, psychiatry, they decided to add him to the cast for insurance. The rest of the cast. almost all. play more or less cameo roles, and that is perhaps why the film made such a good impression on me. A big plus for great direction and cinematography. Others who saw it with me, were not so impressed with the story line and I over heard them complaining that the technical aspect of counselling left much to be desired, but I think that considering the time constraints, it had to be kept tight and in that process, some sacrifices had to be made. Two and a half hours of the feature film, ads and intermission taking the total to almost three hours in the theatre and commuting time added, the three and a half hours spent on it was worth while. I recommend it to those who have not seen it already. This entry was posted in Movies, Uncategorized and tagged Alia Bhatt, Anupam Kher, Counselling, Psychiatry, Shah Rukh Khan. Bookmark the permalink. 2 Responses to Dear Zindagi.